Just Celebrity Magazine had the pleasure of talking to the accomplished Lebanese director Cyril Aris about his quirky, fun film The President’s Visit which is eligible to be considered for a 2019 Oscar. Hi Cyril, how are you doing? Great, thanks for taking the time to write a beautiful review on ‘The President’s Visit’ and for offering me exposure for my film. Congrats on The President’s Visit, your latest short film. Where did the idea for this film come from? The story was inspired by the absurdity of the political scene in my home country, Lebanon, and my desire to see this with humor rather than desperation. We did not have a President for over 2 years (2014-2016), simply because our parliament couldn’t agree on a candidate. Stuck in a political limbo, the whole country was leaderless. Yet the country continued to function, and soon after when we had a president it continued working the same way. It seemed that the country is equally as functional and dysfunctional as it is with or without a president. That makes you wonder why we argue and fight over political issues and political representation, and whether politics as a whole are actually any use to the people. In the plot of the film, the President is “on a cleansing campaign of the country against corruption, bribery, and greed”. Of course, he needs soap for that. And a whole lot of them! This is a metaphor taking literally, which is the source of comedy, and I think it reflects quite well the level of absurdity of following politics in Lebanon. Nothing really makes sense. I was interested in looking at it from a comedic vantage point, and just pushed the story as far as I could in its absurdity. In this story, the leading character Nino is being portrayed by the wonderful Fouad Yammine. How did you come across him? Fouad Yammine is a talented actor and is famous in Lebanon and in the Middle East. He’s acted in feature films like Ziad Doueiri’s Oscar-nominated The Insult, as well as Nadine Labaki’s Where do we go now? and the hit dark comedy Very Big Shot. He’s also a prominent stage actor in Beirut and does a lot of TV work, mostly satirical shows. With that being said, he is most often cast as a comedy actor and is rarely featured with lead parts in dramas. Given the tone of the film, which swings between drama and comedy, I needed an actor who would embody this dichotomy. Fouad Yammine, with much experience in comedy, would be great for the comedic aspect of it. And I knew that directing him as if it were a drama would provide that interesting mix in tone we were looking for. He understood very quickly the thin line we were playing on and was all game for finding that balance. It’s always interesting to go against the type-cast, especially when it comes to acting comedic actors in dramatic parts, and that’s what we did with Fouad. The film was already screened in a lot of different prestigious films festivals and also got multiple awards. Did you ever expect that this movie would be so successful? I am very flattered with the success of the short so far. Of course, one can never predict whether a film will resonate with audiences or not. I am happy to see that it did equally in the Arab world as it did in the Western world. I believe the increasingly dysfunctional political systems and absurdities related to the rise of extremist regimes in the West and South America echoed with the problems that are dealt with in this short. It’s quite ironic. Do you hope that with your films, Beirut will get more attention when it comes to filmmaking and shooting films there? Lebanese cinema has been on the rise in the past 10 years or so. 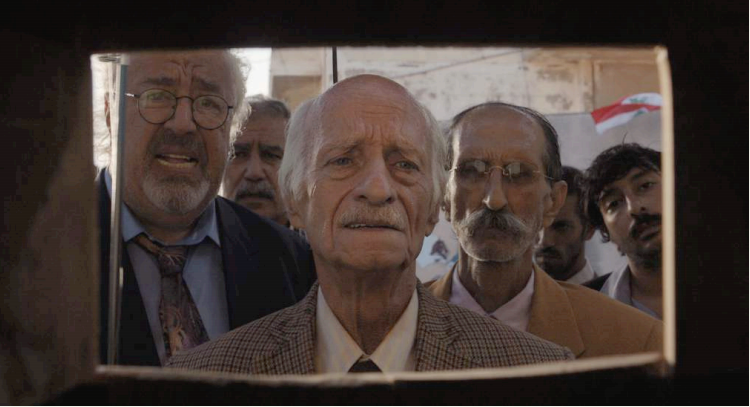 In the past few years, short film Waves ’98 won the golden palm in Cannes, and the film The Insult earned Lebanon’s first Oscar nomination last year. 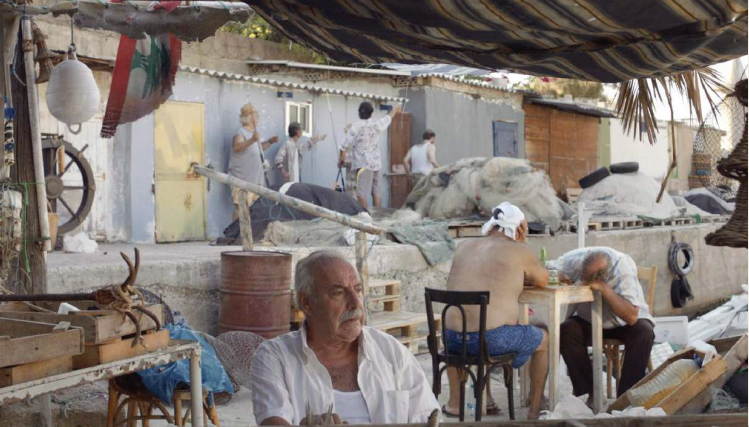 Nadine Labaki’s Capernaum won the jury prize in Cannes this year. While Lebanon produced 1-2 films per year in the early 2000s, we now do around 30 films per year. I believe Lebanon has a lot to offer, there’s a lot of talents working in the industry, so I can only hope that more and more films get international recognition. You’re not only a director and writer but also an actor. Where did the passion for film come from? I’ve always wanted to do films but was too afraid to take the leap. Ever since I was a child, I’ve been in awe with films and was binge-watching movies. Not sure where this passion came from, but I simply fell in love with the art form, and films that deal with human complexities and emotions. I started as an actor, but am not acting so much anymore. I prefer being behind the camera. However, having acted before helped me tremendously in directing actors. I’m still trying to figure that out as well! But I’d say that the only way to learn how to make films is to make films. Rodriguez once said “if you’re an aspiring filmmaker, get rid of the word “aspiring” and go straight to filmmaking”. Yes, I have a feature documentary currently going through the festival circuit, called The Swing. The Swing premiered in competition at the Karlovy Vary International Film Festival in July 2018, and its narrative revolves around a family tragedy, with the two protagonists being my 82-year-old grandmother and my 90-year old grandfather. It examines questions about mortality, and what remains by the end of life when we progressively lose our physical abilities and our memory. The story involves the sudden passing of my aunt, and the inability of my family to tell her father (i.e. my grandfather) the tragic news, as his heart was weak and could not handle any emotional pain. I had never set out to make a documentary, but as the story was happening before my eyes, I felt the urge to document it. I had also always been very interested and intrigued with old age, and all the thoughts of emotions one has when reaching the finish line. Currently, I am developing my first narrative work, and am still writing the script for “It’s a Sad and Beautiful World”. THE PRESIDENT’S VISIT (Official Trailer) from Cyril Aris on Vimeo.